The legendary first release by the mysterious revolving membership band called Cush. This album caused quite a buzz in 2000, especially due to the Cush Manifesto that was accidentally circulated at Cornerstone 2000. This manifesto, reprinted below, best describes their sound. God. Jesus. The Holy Spirit. King David and The Psalms. Love. Celebration. Longing. Giving. Purity. Innocence. Faith. Pain. Gospel. The earliest Rock and Roll. Willing to change and grow with others. Willing to have anybody play any role, whoever is most suited for it at the time. Willing to be anonymous. Willing to be produced. Sharing, being selfless, letting go. Being Honest. The song winning. Soul. Letting your ego get you there, and then sacrificing it when the time comes. Music being able to be performed in any way, by any combination of people, in any setting. Being Free, Creative, Spontaneous. One instrument per part, one player per part. Minimal overlapping of tones. A Groove. A Drone. A Basic Progression. An acoustic guitar. An electric guitar. A bass guitar. A six-string bass guitar. A piano. An organ. A horn section. A cello. A violin. A viola. A voice. A hand-drum. A tambourine. All things that make a sound when you shake them. Washing everything in the dreamiest of reverb-effects until you can’t tell what it is, but rather what it feels like. Doing the thing you always wanted to do but were afraid to. Jumping off the deep end of the peer. Staring Fear in the face and walking right into it with a faithful heart. Turning your life upside-down. CUSH is from the core of your relationship with God — Good, Bad, and Ugly — and reaching out in Moans and Groans to Him. CUSH praises like Gospel, and wails like Rock and Roll. CUSH feels the best, and hurts the most at the same time. 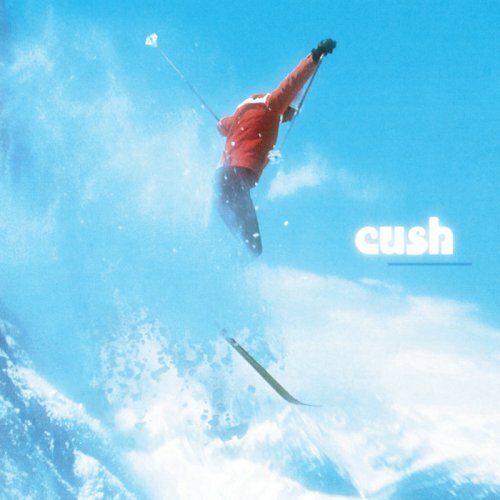 CUSH sounds familiar, like the best songs you’ve ever heard, but feels new. A CUSH song does not have to be 3:30 long. A CUSH song can be 68 minutes long. A CUSH song is already a greatest hit. From the slowest, most isolated place, just before God, bowing down, quiet, heavenly noise, swelling, droning, heaving, glowing, flickering, underwater, the true reality, connecting spiritually with God and seeing all of humanity through His eyes. The true nature of Love and everything. Placid but full of colour, vivid life, musical movements, sounds, dreams, asleep but still awake, alive yet dead, dead yet alive. Alone, but not lonely. Haunting, sad, painfully beautiful, moving, majestic, heart-wrenching, yet humble, meek, and poor in spirit. Drone, Middle Eastern, heavy, rock, epic, magnificent, cross poly-rhythmic, whatever-wherever music, where all heaven and earth are in His command. CUSH is not about self-loathing. CUSH is not about editing yourself before giving. CUSH is not a solo project. CUSH is not a band. In CUSH, you win by letting yourself lose. CUSH is a concept, an ideal, a greater goal, a principle. CUSH is a beautiful spirit shared by all. CUSH was produced, written, and played by: Andrew Prickett, Michael Knott, Wayne Everett, Campuzano, Snowman, Frank Lenz, Gene Eugene, Blake Wescott, Tim Taber, Jyro Xhan. I think this album could very well be the greatest record by a “Christian” band. I just wish Michael Knott would re-unite with the rest of the group and come out with a few more albums! I concur. By far my favorite record from a “christian” band. When I condense it down, this album is probably the closest thing to perfection in sound I have ever heard. My all-time favorite, out of a music collection of over 2000 albums. One of the BEST albums I own. I have had it for the past 12 yrs. Beautiful record.